If the last episode was largely a setup for the finale, than Such Sweet Sorrow is.. well. This is another setup for the finale. That’s not to say it doesn’t have some great moments! Burnham has a few poignant goodbyes. Buckle up everybody, because “Perpetual Infinity” picks up the excitement right where “The Red Angel” left it last week. We got Michael Burnham experiencing an insane amount of emotion, giving Sonequa Martin-Green an opportunity to deliver what an Emmy-worthy performance. 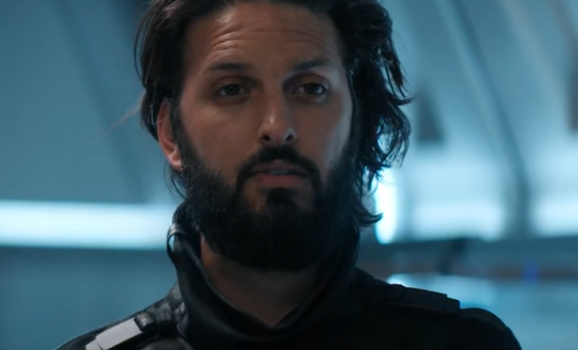 Even though Discovery went rogue just last week, “Project Daedalus” has them teaming up with a Starfleet admiral to cause a ruckus. This time they’re heading over to that troublesome Section 31 to depose the Logic Extremist at the top. The mysterious Section 31 swings by the Discovery in “Saints of Imperfection” and causes some chaos, but also saves the day so it’s really kind of a wash. Still want to talk more Trek? 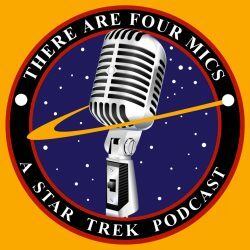 Explore Star Trek in stardate order with us over on There Are Four Mics: A Star Trek Podcast!